Email the Office of the Bishop. Sudarshana Devadhar was elected to the episcopacy at the Northeastern Jurisdictional Conference in July 2004. He served as the leader of the New Jersey Episcopal Area for eight years, where he led that conference to the first net gain in membership in 45 years. Bishop Devadhar was born into a family of clergypersons and has been a follower of God all of his life. The name “Devadhar” means “follower of God.” Suda, as he is called, began his pastorate as a deacon at the Church of South India, Mercara Coorg, India. He holds a B.Com. degree from Vijaya College, University of Mysore, Mulki, India; a B.D. degree from United Theological College, Bangalore, India; a M.Th. degree from Perkins School of Theology, Southern Methodist University, and an M.Phil. and a Ph.D. from Drew University. 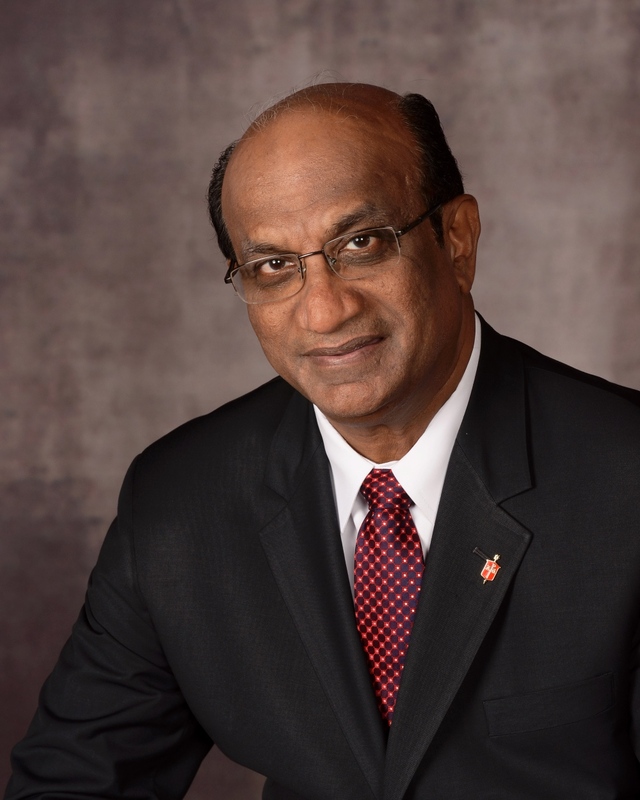 Bishop Devadhar has a passion for encouraging the spirituality of youth and young adults, and has led numerous spiritual journeys to The Taize Community in France. He embraces diversity and leads the Church with joy and compassion. He enjoys spending time with his family. His wife, Prema, is his partner in ministry, and they are blessed with a daughter Trina and three granddaughters. Bishop Devadhar enjoys reading and listening to devotional music. His key philosophies are to love everyone, that every human being is a child of God, enjoy God’s creation and make use of it responsibly.